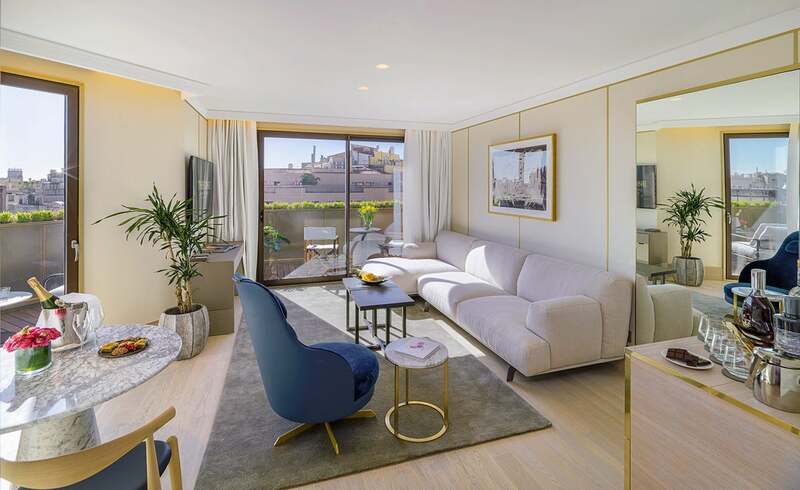 Located on the top floor of the hotel, this spacious suite of between 60 and 85 m² opens up to the city thanks to a 32 m² terrace that is accessible from all its rooms and is equipped with a Jacuzzi, sun loungers, a shower and incredible views of the Sagrada Família. 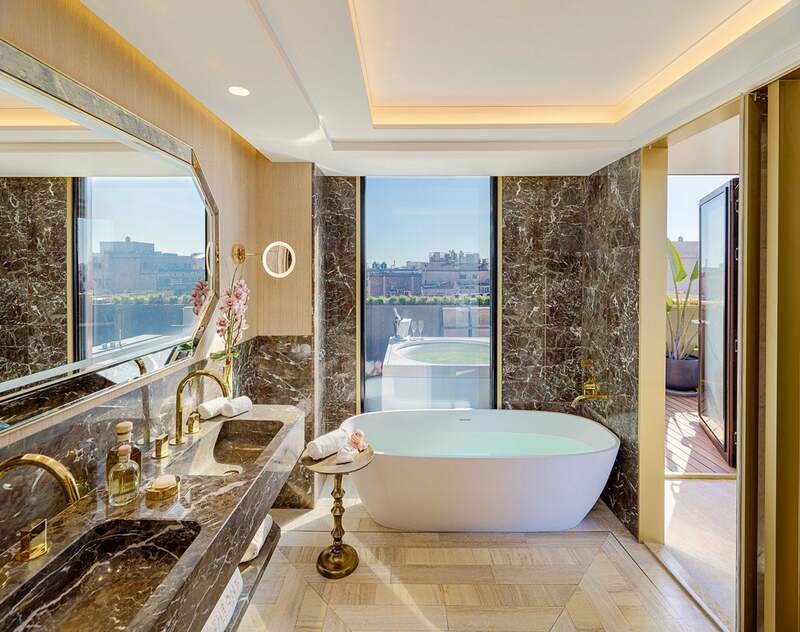 Luxurious accommodation comprising a separate 20 m² living room, a sophisticated bedroom with an exclusive bathroom, free-standing bathtub and dressing room. The possibility of connecting to another room makes it a good choice for families who want to maintain their private space. Maximum occupancy: 2 people in the one-bedroom suite, 4 in the two-bedroom suite.